For Pale Moon users that would like to use the new Mokum sharing extension, instead of the bookmarklet, but can't install it because Pale Moon doesn't support WebExtensions, you can use the Custom Buttons extension, found here: https://addons.mozilla.org/en-US/firefox/addon/custom-buttons/ Then visit this XML link and hit the Install button on the right side of the page: http://appsapps.info/stuff/Mokum-ID0-1.xml Then right click any toolbar in Pale Moon and go to Customize, to add the new button wherever you want it. 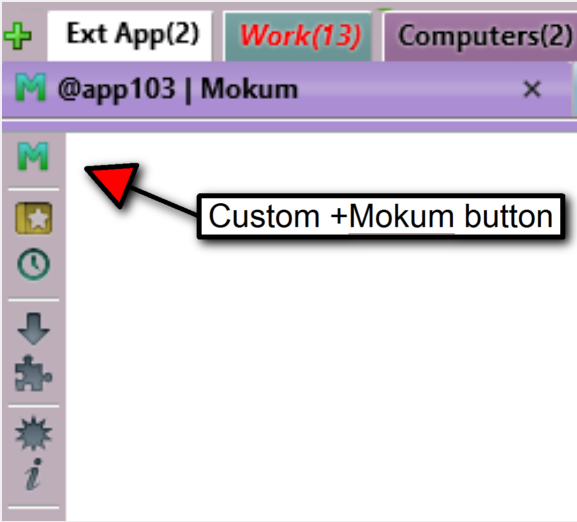 This button is based on the official Mokum bookmarklet, but unlike the bookmarklet, you are not restricted to keeping it on your bookmarks toolbar. You can put it on any other toolbar, as shown in my screenshot. 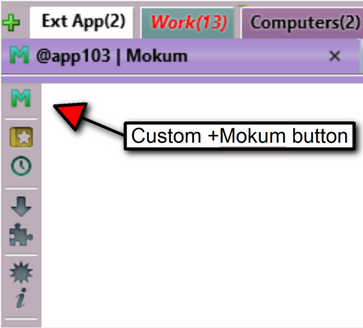 Cross-posted to @mokum because I don't know of any groups for posting user made tools. Btw is it compatible with older firefoxes also? I know there is a guy with FF 20 here. It's compatible with any version of Custom Buttons. If you can install the extension in your browser, the button will work with it. If anyone has a version of the extension that can't use the XML installer (or are still using the old defunct Custom Buttons²), just let me know and I'll create an HTML install link page, like I did way back on Friendfeed, for my alternative bookmarklet with the draggable window. @squadette: There will likely be more Pale Moon users in the near future, as soon as Mozilla's transition to Chromefox is complete and traditional XUL extensions no longer can be used. Lots of people relying on XUL extensions that won't be updated to WebExtensions, for one reason or another, that will have to move to another browser where they still will work, if they want to keep on using them. @app103: I'll add it to my list of occasionally tested browsers. Thanks!